For those of you that might want to make political contributions via Bitcoin. The Federal Election Commission appears poised to rule on whether and how campaigns and PACs can accept bitcoins as political contributions. The news comes as Attorney General Greg Abbott’s campaign for governor announced Wednesday that he will accept contributions made in bitcoin. Two draft advisory opinions have been posted to the FEC website for public comment ahead of the commission’s April 23 meeting. The first draft, posted Tuesday, would broadly authorize the use of bitcoins not as cash donations, but as in-kind donations, much as stocks and bonds and similar instruments are accepted today. They also could be used to pay campaign bills, provided vendors would accept the novel currency. They could also be deposited into the PAC’s bitcoin digital wallet and kept their to be spent or sold later. The PAC could also use cash to buy additional bitcoins itself, but those coins could only be treated as investments and not as means to pay bills or otherwise transferred. It would also require that the identity of the donor would have to be known and recorded before the donation could be accepted. 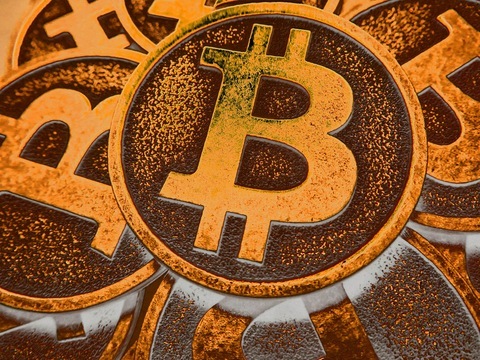 But a second draft posted Wednesday contains language that would greatly restrict the use of bitcoins. The bitcoins could be accepted but would have to be converted to cash before they could be exchanged for anything of value, and the cash would have to be deposited in the PACs contribution account. The second draft would also impose a $100 maximum value on how much the bitcoins any one donor gives to a campaign during any one election cycle. The advisory opinion was requested by Make Your Laws PAC. For the full record of the case, see here. You can see the two draft opinions here. As we know, Congressman and performance artist Steve Stockman had asked the FEC for an opinion about Bitcoin donations; I wonder how much, if anything, he wound up collecting in Bitcoin. As I’ve said before, I don’t have any problem with this. I doubt it will amount to much, but as long as disclosure requirements are met I don’t see any good reason to treat Bitcoin as anything unusual. Please [sic] this Dallas Observer horrendous homophone editing error. My head may explode.